The goal of online mature dating sites is to bring people together who otherwise would never meet. In today's hectic world where more people work from home, have busier schedules, and other responsibilities, online dating provides a way to meet new people that would not be possible. However, while the internet may have changed the way people meet, relationships still work in the same manner. While every relationship is unique, there are many instances of similarity where certain inferences apply. For example, if you are always late in arriving, your potential date might take it as you not being that interested in them. 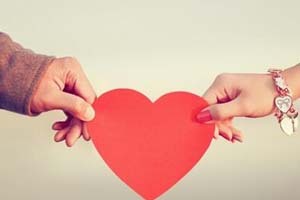 Here are five tips that you can use to help improve your relationship, find out more information about the other person, or make the best decision when it comes to staying with them. Everyone has their reasons for being in a relationship and it's important that they are compatible with the person you are dating. Remember, you don't have to be in a relationship for the same reasons, but they must be compatible. Otherwise, you can count on this being a short relationship. So, it is important that what you want is something that the person you are interested in sees as being the reason as well. While it pays to take your time, and get familiar with the online dating scene, you should also not dilly-dally when it comes to making decisions. So, before you take the next step, consider where you are at first so you'll make the right decision for yourself. While it is better to take enough time to make the right decision, you should not let it drag on any further than that. Few things build up a relationship faster than doing things together, especially something that you have not done before. Whether it is visiting a new place, engaging in a new activity, or participating in an event, the things you do together will create lasting memories and serve as part of the foundation for your relationship. So, after your first meeting, suggest an activity, event, or location that both of you have not done or visited so that you can start making memories together. Everyone has their individual interests and hobbies, so no matter what you think of them, keep in mind that it's what they love to spend their free time doing. Of course, someone's hobby should not interfere with your relationship, but for the most part it shouldn't have to if you schedule the time in advance. Remember, you do not have to participate in their interests, but you should respect them just like you expect them to respect your interests. Relationships grow on their own schedule, so while some people may be ready for marriage in a few weeks, others will take many months or a year or two. You'll have to discover the pace that the relationship is taking and make sure that it is not so fast that you are making poor decisions and not so slow that you are not getting to where you want to be.